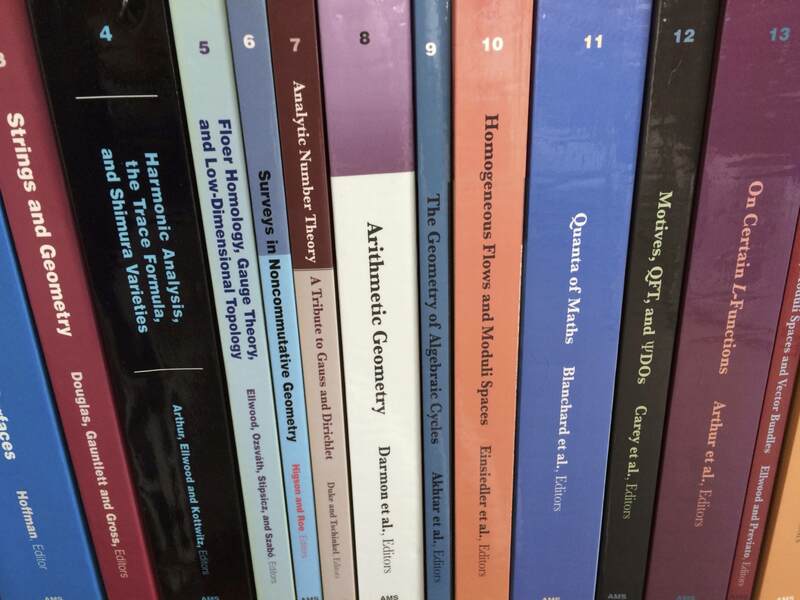 The Clay Mathematics Institute publishes two book series in partnership with the American Mathematical Society: the Clay Mathematics Proceedings, which contain papers based on lectures at Summer Schools and other CMI events, and the Clay Mathematics Monographs. See AMS list. It also provides an online library, in which books and other documents can be read online. The library contains electronic copies of CMI publications, including most of the Monographs and Proceedings volumes as well as digital versions of important historical documents, including the Bodleian Library's manuscript of Euclid's Elements (transcribed in 888 AD in Constantinople), the manuscript of Riemann's 1859 paper on the zeta function, Klein's Protokolle (hosted at Göttingen), notes from I.M. Gelfand's Monday evening seminar (hosted at the Moscow Center for Continuous Education), and Dan Quillen's notebooks. It also provides access to videos of lectures at CMI events and a collection of James Arthur's mathematical papers.